Most Buddhists in Myanmar spend at least a part of their life in a monastery and adopt a disciplined lifestyle, learning the teachings of Buddhism as part of their faith and for spiritual credit. 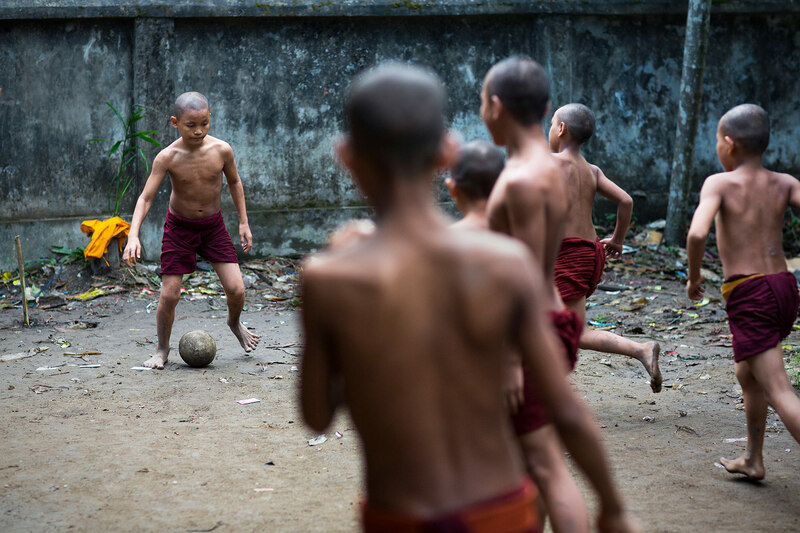 Practicing monks are expected to get by with the the minimum of possessions and live a life of dedication, but once classes finished each day, football seemed to be a daily ritual at most monasteries I visited. These timeless scenes could be from any era and that's what drew me to photograph them really. A world away from today's 'money ball' version of the game. The beautiful game in it's purest form.